You may recognise this cheeky wee poster from our event last October when we organised a small gathering at the local bar for a test screening of Meredith Alloway’s film ‘Deep Tissue’ here in Nérac? 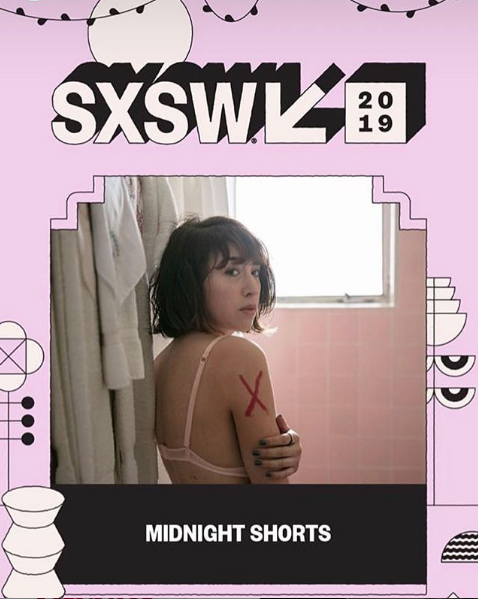 Well, she’s only gone and got it accepted for a premiere at SXSW in the Midnight Shorts block! … screening the movie was instrumental in not only the notes we addressed in the next mix, but my confidence in the project…. We know that Meredith wants us to pass on a big thank you to everyone who attended this test screening for being the first audience to see the movie and giving her the feedback she required to finalise the film. We want to send her huge congratulations and wish her the best of luck for her future screenwriting and directing career! Would you like to be invited to attend Studio Faire events in South West France? Would you like to be invited to Studio Faire Events? Email us to let us know!